The awarding ceremony was held at London Lancaster Hotel on October 26. Barkli Gallery was awarded in two nominations — Architecture Multiple Residence and Development Marketing. First Deputy Chairman of the Board Aleksandr Krasavin: “We are happy to see our project win this significant award, which means that Barkli team has done a fine job. Our goal was to create a masterpiece building, with an integral conceptual foundation and perfect architectural style”. The inaugural International Property Awards were presented in 1995. From that time till the present day they have been celebrating the highest levels of achievement by companies operating in all sectors of the property and real estate industry. 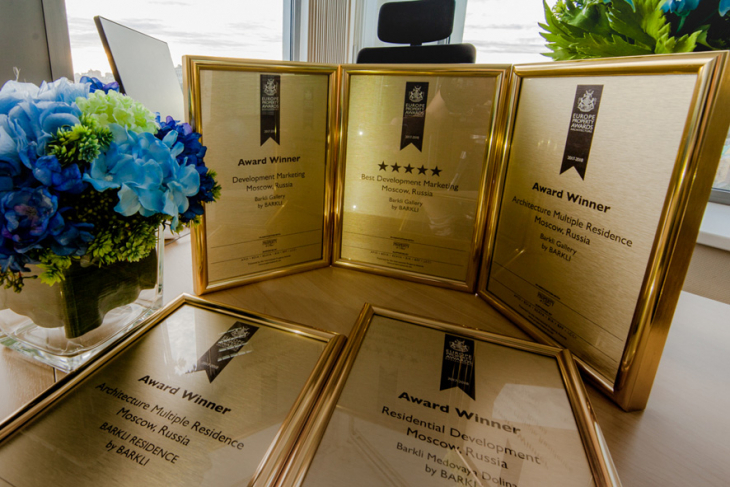 An International Property Award is a world-renowned mark of excellence.